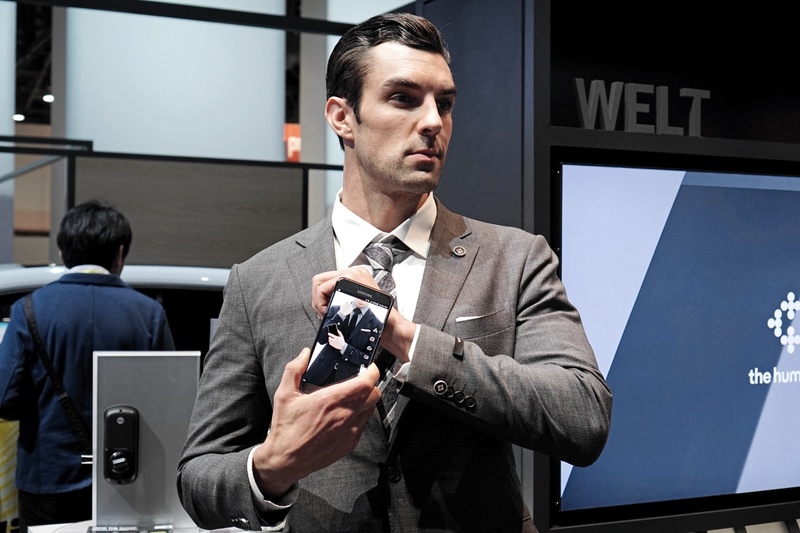 Samsung put NFC tags in a suit for some reason. We've already seen some crazy product concepts from Samsung's secret labs, but the company also had a few more unique wearable ideas over at its CES booth. How does a suit equipped with NFC tags sound? Or maybe a purse that charges your phone with solar panels? These particular products were developed by Samsung C&T, another arm of the electronics giant. And unlike the concepts we saw previously, they're already on sale in Korea under Samsung's wearable brand, The Human Fit. The company also showed off a set of smart exercise clothing that tracks your movement and body contractions, as well as golf clothing that can track your swing. While they looked fairly polished, it's hard to imagine why anyone would need something like NFC tags in a suit. Samsung says it'll make it easier to do things like transfer your contact information to someone else's phone. But it's not much easier than simply carrying a business card in your suit.